Don't risk buying from an auction company or music store with limited audio knowledge - Compare our cable specifications to that of our competitors. We are able to provide better advice to assist you in making the right decision no matter what your budget. We take pride in our reputation which is reflected by 1000's of repeat customers Australia Wide. We would like your repeat business - so for us honest advice goes a long way! 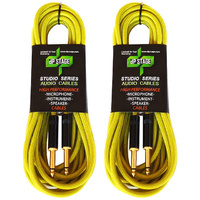 DP STAGE cables are Australian designed professional quality audio cables using high grade materials. 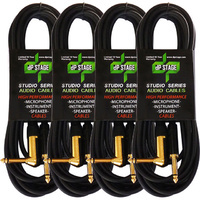 DP Stage cables offer a complete inventory of audio cables including microphone, guitar/instrument, speaker, patch & connector cables to suit most musical applications. A variety of cable qualities, including models with 10 YEAR & LIFETIME WARRANTY provide choice to suit individual requirements. 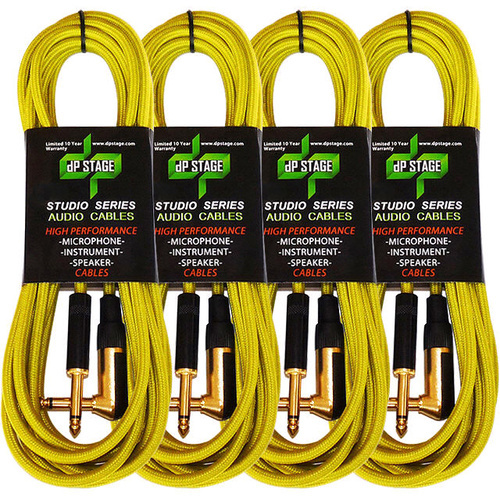 DP Stage Studio Series cables deliver neutral and accurate sound for any audio application. 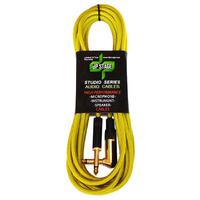 Studio Series cables are manufactured using high grade materials and include a 2 YEAR WARRANTY. Oxygen free copper (OFC) core, quality connectors, PE insulator, and helical sheild combine to create a quality cable with durability and ultra low noise. Flexible PVC jacket ensures comfortable handling and reliability under the most demanding conditions. 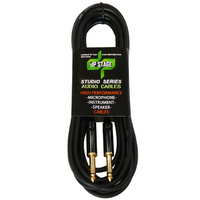 Perfect for all live, studio and audio applications. DP Stage Live Series cables deliver accuracy and reliability and are backed by a 2 YEAR WARRANTY..
We are the leaders in musical instrument internet sales in Australia and are regarded highly for offering professional advice, service and quality audio products at Australia's best prices. We have over 20 years experience in sourcing the best quality and most reliable musical instruments and audio accessories at any given price range making sure you get great value for money. We are a retail store - you can buy any of our wide range of products either on line or personally from our store in Bayswater, Melbourne.